Joel Rosenberg was a Canadian American science fiction and fantasy author best known for his long-running “Guardians of the Flame” series. Rosenberg was also a guns rights activist. He is the oldest brother of Miami Herald reporter Carol Rosenberg. He also wrote in other genres. Learn more at Joel Rosenberg‘s blog. Guardians of the Flame: The Warriors pleasantly surprised me. I’ll admit that going into it I was somewhat dubious: it looked like an obvious cash-in on a clichéd premise. Joel Rosenberg, however, turned out to be a more skilled author than I had anticipated, weaving a fun, fast-paced, often grim series that did exactly what it needed to. 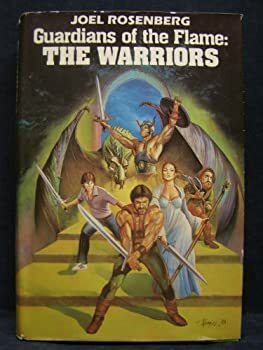 The Warriors is an omnibus volume consisting of the first three GUARDIANS OF THE FLAME novels: The Sleeping Dragon, The Sword and the Chain, and The Silver Crown. Raymond E. Feist has always been notable for his willingness to share the world of Midkemia. In all his acknowledgments and dedications, Feist notes that from its very inception the world has been a collaborative effort. 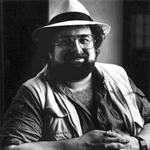 His Empire trilogy was a collaboration with Janny Wurts, and the computer game Betrayal at Krondor had to be shared, by its very nature. He has returned to the tradition of collaborative effort in his Legends of the Riftwar series. D’Shai — (1991-1994) Publisher: In feudal D’Shai, your birth determines your status — and your own special magic. There is the Way of the Warrior, the Way of the Runner, and fifty other kazuh. Thus has always been.The Way of D’Shai. Kami is twice trapped by this rigid caste system. He is a peasant in love with a beautiful daughter of the upper classes. And he is an acrobat with no magical talents for acrobatics. But when he is falsely accused of a nobleman’s murder, Kami must defy tradition and find his own special power — and neither he nor D’Shai will ever be the same! Keepers of the Hidden Ways — (1995-1998) Publisher: There are Hidden Ways built into the structure of existence — linking the New World and the Newer… dating back to a time before time. When he brought college friends Maggie and Ian home to North Dakota, Torrie Thorsen anticipated a carefree vacation — not werewolves, Norse gods and inconceivable worlds. 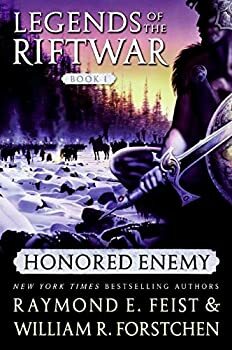 But the Thorsen destiny leads them all to where the family’s history began — through secret portals into a place of legend and peril. For here, where the blade of Torrie’s father once loyally served the House of the Sky, son and father both must suffer for ancient transgressions. And with war clouds gathering above the Middle Dominion, an unlikely champion will raise his sword in defense of captive friends… to prevent the fiery coming of the End of All Days.